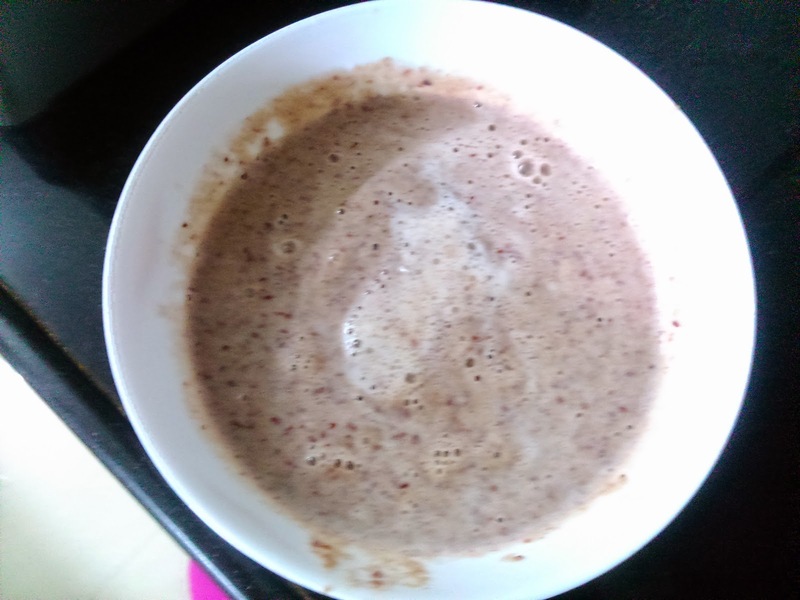 Men can be so stubborn on certain aspects like shopping, going to a hindi movie and eating oats. Now adding to the list is Rajma i.e. Kidney beans, a major no no for Hubby. Even the famous famous rajma chawal couldn't make him like the red bean and the a sulking face at the dining table makes me go nuts. 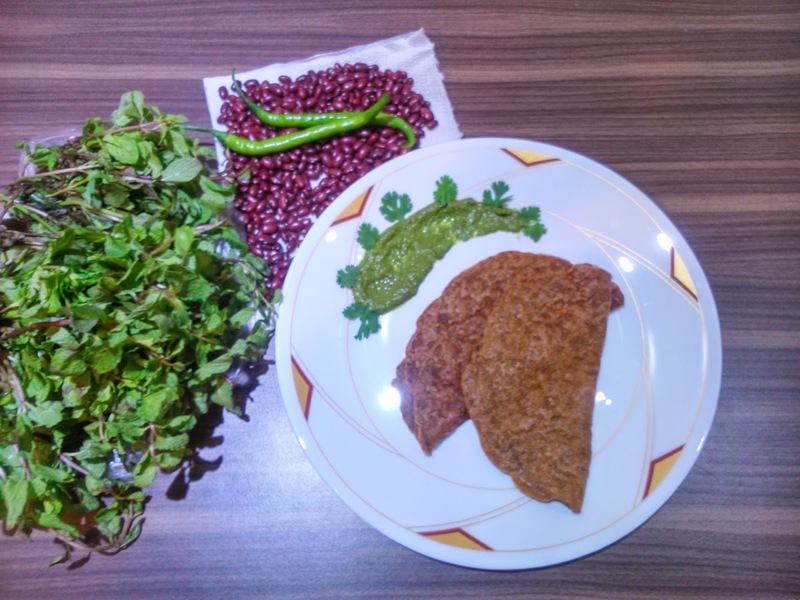 Just FYI gentlemen, Kidney beans/ rajma are rich in proteins , irons, act like energy booster, prevents bad cholesterol and many more. But no he just wont eat, So I find a better way. 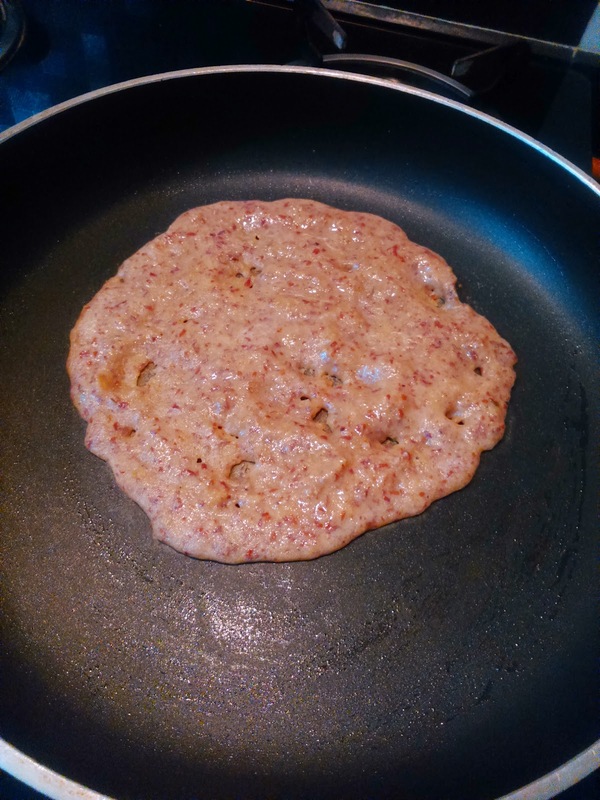 Smash the beans into a batter , add aromatics and form a savoury pancake served with spicy tangy chutney. And this he eats, things-we-wives-need-to-do!! 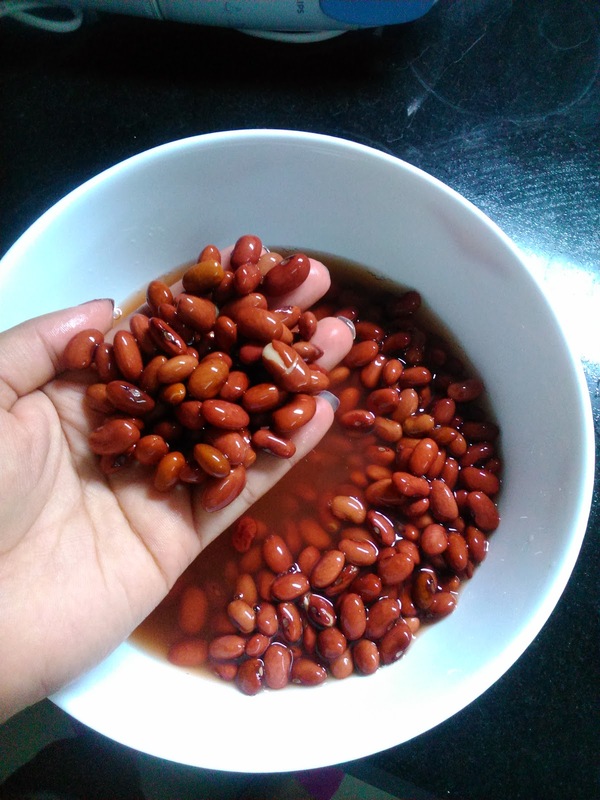 100 gms kidney beans/Rajma: soaked in water for minimum 4-5 hour. 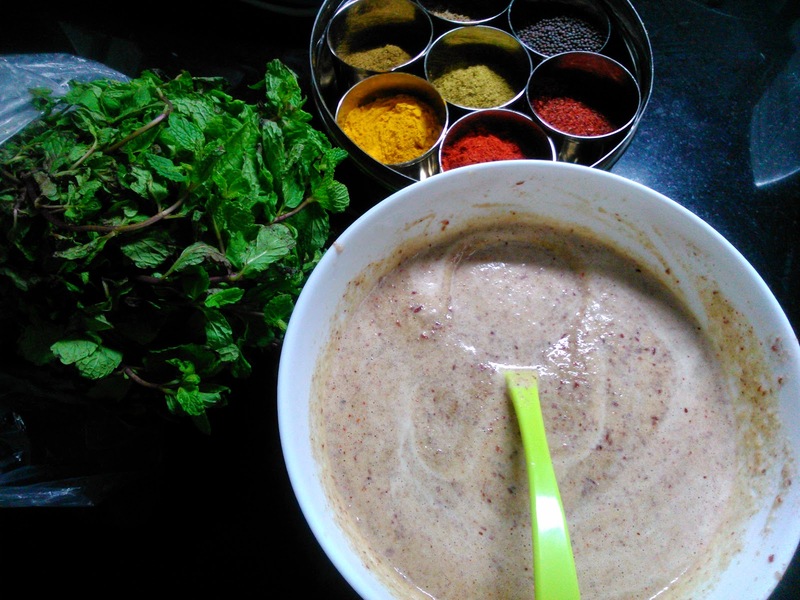 Soak the rajma beans for over 4 -5 hours and then process them in a blender into a fine paste. 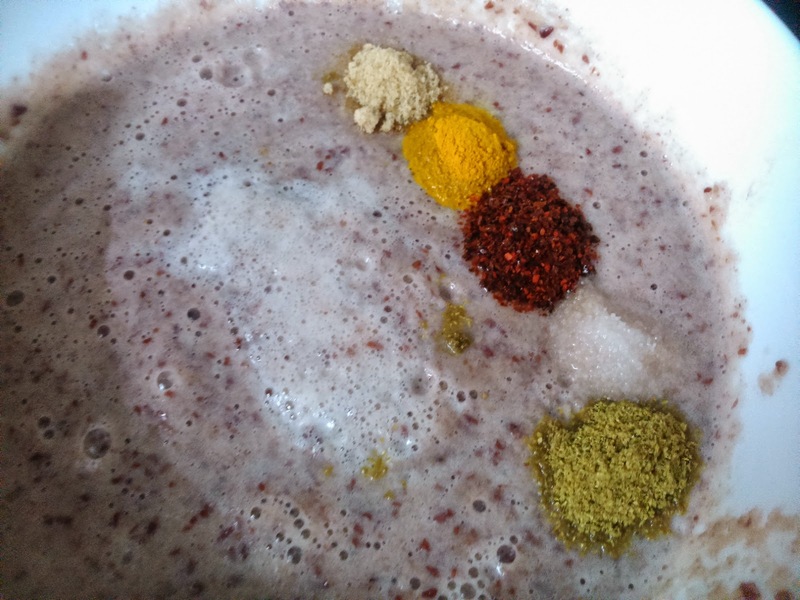 Get it out in a bowl and add the aromatics, give it a good mix. 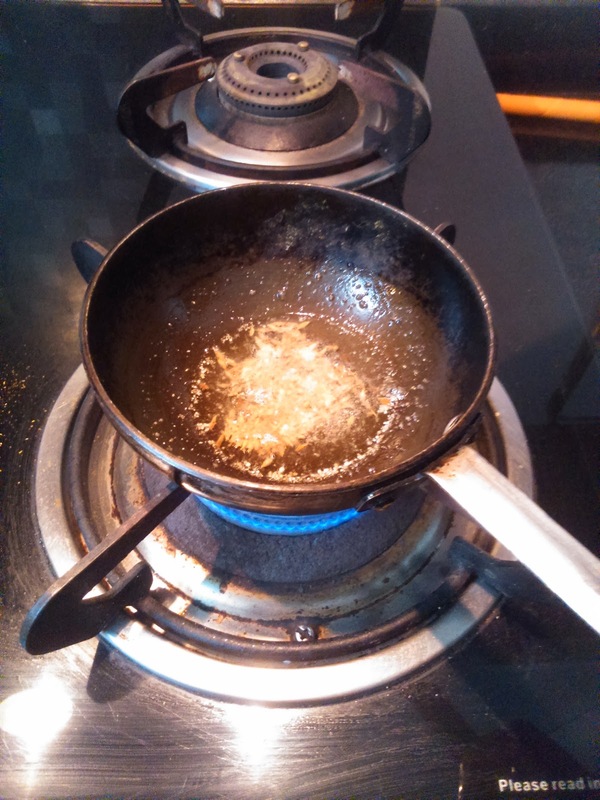 Heat the oil in a tempering vessel and add in jeera and hing. 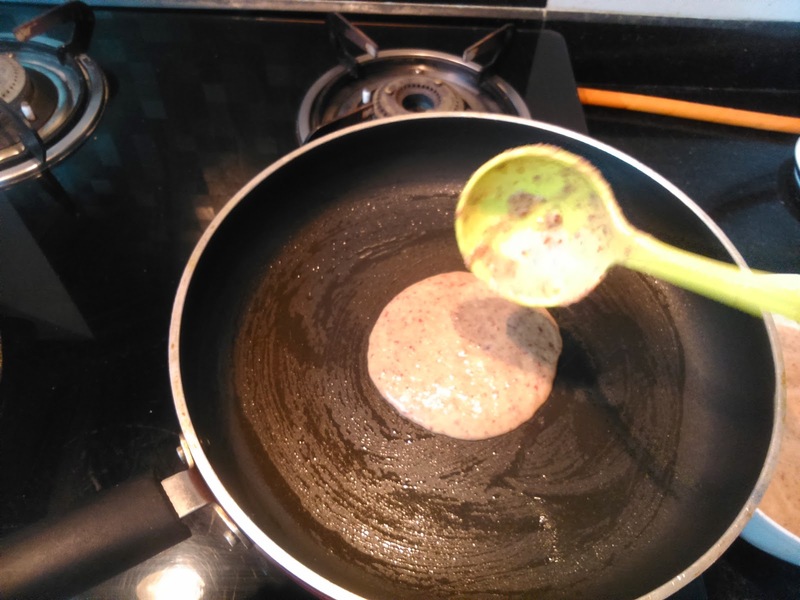 Add the sizzling tempering to the rajma batter and mix well. 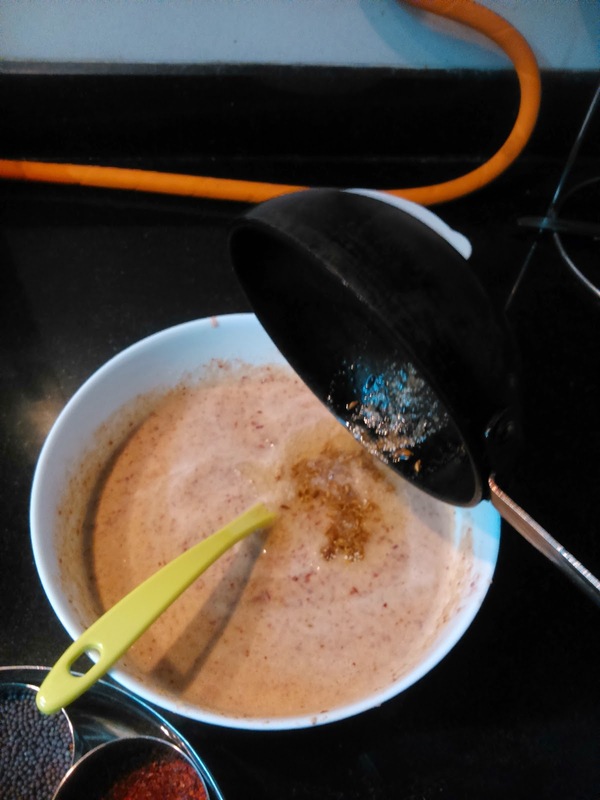 Next, ladle out spoonful of the mixture on the greased hot pan. 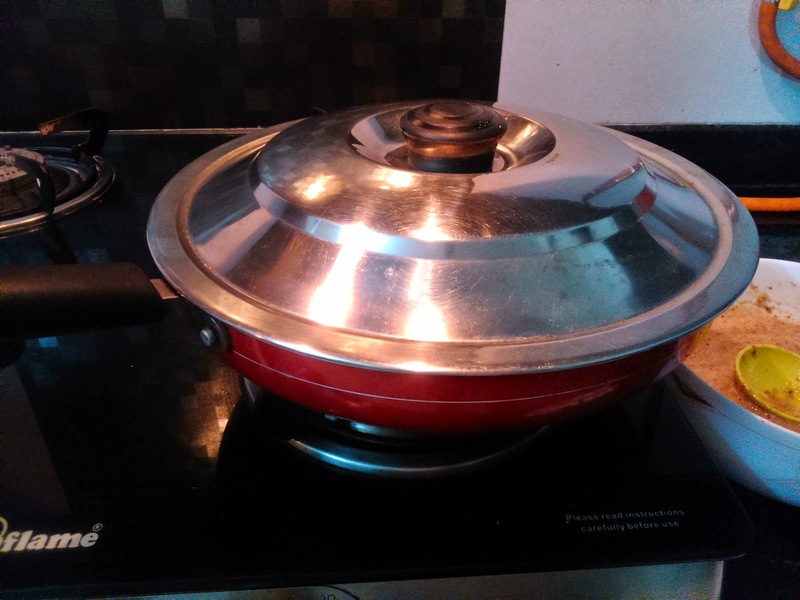 Let it cook on one side with the pan lid covered for a minute then flip and cook on the other side. 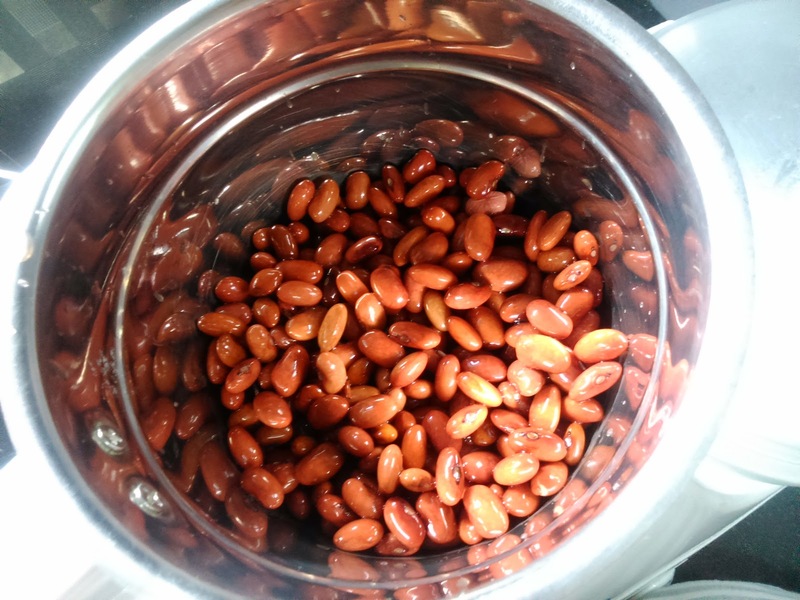 Rajma is a tough bean hence don't be in a haste to pull it out of the pan, let it cook thoroughly. 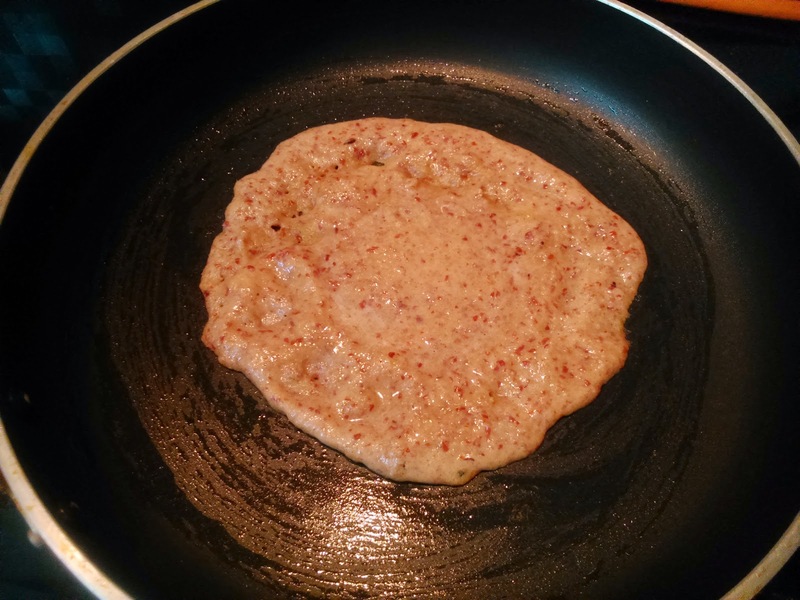 Then wait no longer, serve with pudina chutney. Blend in a sturdy mixer. Add water as required. Add the tempering to the batter. 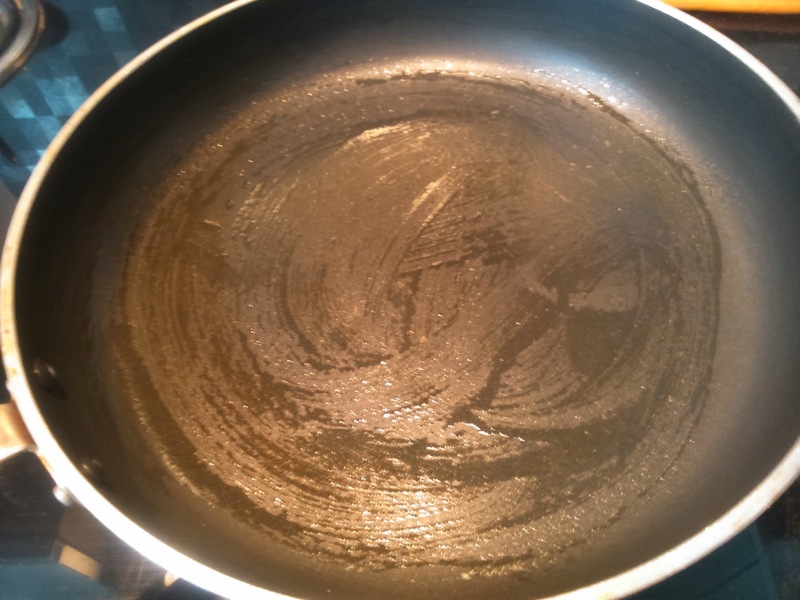 Heat a pan and grease it with oil or butter as per your preference. Flip and continue to cook for another 3 - 4 mins. 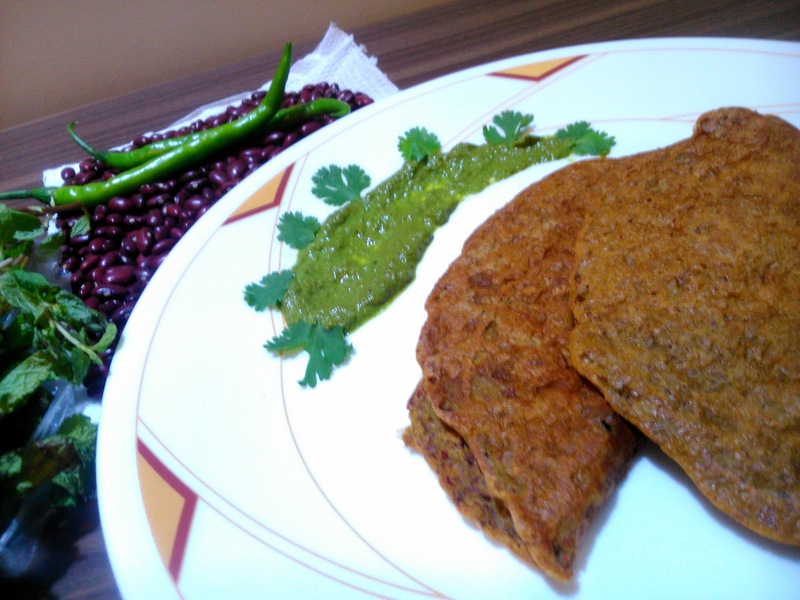 Rajma Dosa ready to eat.